Typhoid fever is a bacterial infection also known as typhoid. It is usually caused by Salmonella typhi bacteria. These sort of bacterial infections are caused due to the intake of contaminated food or water and that improper digestion. It spread through the direct contact so do be careful and does not affect animals. Typhoid being a severe health-harming disease it treatment is simple and can be cured easily. In the case of 1 out of every 4 get died due to non-treatment of the disease and if treated 4 out of 100 are resulted as fatal. Hence the early we start the treatment that early we can treat the disease. So, make a note of your health conditions and compare with the symptoms of typhoid to get the earliest treatment. The bacterium first enters into the body through the mouth by some contaminated material and rests in the intestine for about 3 weeks and enters the blood stream through the intestinal walls. From the blood cells, it spreads on to the other tissues and organs. The immune system can do its mere thing to fight back as the bacterial and stay in the host cell and stay safe from the immune system. The bacterial presence and typhoid attack can be detected in blood, stool bone marrow or urine samples. 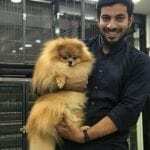 It is a bit dangerous to the people who travel the world and people with improper hygiene conditions as the person gets affected easily and even spreads them along to many. Sources tell that this disease most common in India. Children are the most highly affected due to this disease, hence it is recommended to put on hygienic conditions for early recovery or even prevention of the disease. Antibiotics are the only source to cure the disease. It is highly recommended that until the disease is confirmed that are requested not to cook for others and not put any sort of direct contact with others as the disease spreads on very easily. Typhoid is a very common and dangerous disease and it is important that everyone needs to get aware of the symptoms of typhoid to know whether she has the disease or not to get proper treatment. Generally, the symptoms appear after 6-30 days of the bacterial exposure. The symptoms of typhoid are mentioned below. As known there will be a high fever for many days, the temperature won’t decrease than 104 degrees Fahrenheit for many days. A lot of weakness, abdominal pain, constipation, and headaches occur to the patient. Diarrhea and vomiting are also the uncommon symptoms of typhoid. Some people even develop spots on the skin with red spots and skin rash. This can be treated easily with proper antibiotic dosage to the patient with proper hygienic health care. The most referred and preferred form of treatment for typhoid is antibiotics. The normally used antibiotic is ciprofloxacin and ceftriaxone for the treatment. The natural way to treat typhoid would be to keep the body rehydrated with an adequate amount of water and proper drinks to provide health hygiene to the body. If the symptoms of typhoid aren’t recognized or the treatment is ignored or post postponed the disease gets severe. If the severity of the disease increases it needs a surgery for treatment. As said above the main causes of typhoid are due to the intake of contaminated and unhygienic foods and liquids. They also occur by public sanitations, hygienic habits and sometimes even by some flies and other insects are the main causes of typhoid. Washing of hands before and after the intake of food is the main objective that we can take on to stop the spread of typhoid to others. Researchers have said that chlorination has decreased the spread of bacteria by a large amount. The spreading of typhoid is very common hence it better to be as careful as possible and maintain proper hygiene and take care of health. There are antibiotics available that cure typhoid fever. After the immediate recognition by the symptoms of typhoid, it is recommended to start its treatment as a part of health care. The bacterium gets resistance to many of the antibiotics and hence resulting in the typhoid fever. 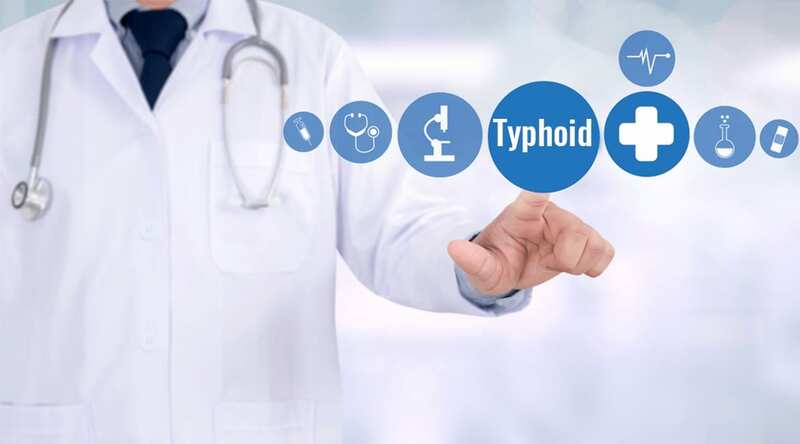 Typhoid cure is available very much these days and hence is regarded to take care of health by checking on the symptoms of typhoid and taking measures to rescue it. There were medicines that acted upon typhoid prior to ciprofloxacin but were replaced as the bacterium got resistant to the antibiotic. Research has said that with antibiotics, mortality and supportive care decreases the fever by 1-2%. Due to the correct dosage of antibiotics, the improvements are shown in 1 or 2 days and recovers within 7 to 10 days. Antibiotics being the main way to cure your disease there are few home remedies for typhoid for its cure and natural healthy nutrition to the body. The typhoid home remedies are the best way to make a healthy immune system. As mentioned typhoid cure is basically improved by the regular rehydration of the body with liquids. Below mentioned are such home remedies that help in removal of symptoms of typhoid and also recovery conditions if effected so. In the case of typhoid, the body temperature is about 104° F and keep maintaining that for that for a very long while. Hence to decrease that cold compressors work very effectively. Soak a cloth in tap water, squeeze out the excess water and put it on the forehead. Keep changing the cloth frequently until the temperature drops and comes to the normal body temperature. You can also place the washcloth in other areas of the body like armpits, feet which also reduces the temperature. Repeat it at regular intervals in order to high temperature. 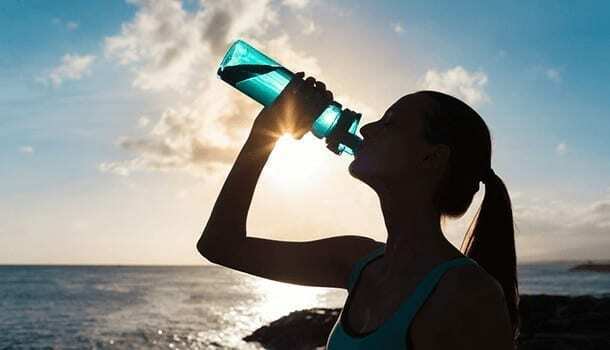 Due to the rise of temperature and diarrhea, there will be a large amount of dehydration occurring in the body. Hence it is highly recommended to take on at higher levels to maintain the body hydrated and it also helps in the removal of wastes and toxins from the body. Take at least 8-10 classes of drinking water. Prefer to take warm water i.e., boiled and cooled water for safe and hygiene purpose. Along with water situate that you take glucose water, coconut water, herbal teas and fresh fruit juices that not only help in body hydration but also adds up minerals to the body increasing the body immunity. As the known fact ORS helps out in replenishing the lost fluids in the body and helps in body recovery from dehydration. So, in the case of typhoid as it causes diarrhea it is highly recommended to take ORS to rehydrate the body from the lost fluids. Take about 4 cups of drinking water and mix about ½ a spoon of salt and 6 spoons of sugar and drink it. Follow this for about a week. Apple cider vinegar is the most energizing and best element to fight back the symptoms of typhoid and helps in faster recovery. It helps in drawing out the heat from the body thereby decrease in the body temperatures. And above this, apple cider vinegar also helps in retrieval of the lost minerals into the body. Add unfiltered apple cider vinegar in a glass of water mix a little honey and drink it before meal every day. Repeat it for about a week. You can also use apple cider vinegar as a cold compressor, mix one part of apple cider vinegar with 2 parts of cold water. Soak a cloth in it and squeeze it and place it on forehead and abdomen repeat it until the fever drops. 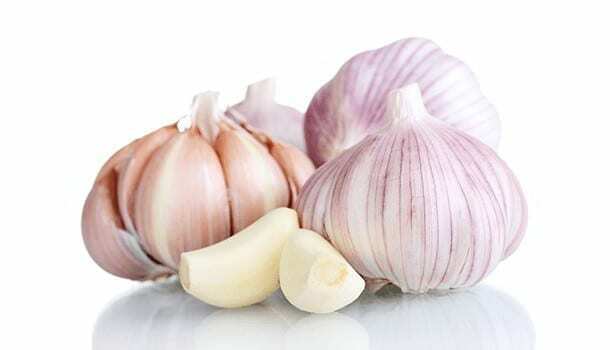 Garlic has major antimicrobial properties which help in fighting back typhoid bacteria and also helps in increasing the immune system by eliminating the harmful toxins and speeds up the recovery. Have 2-3 garlic cloves empty which help in the removal of typhoid symptoms. Mix up crushed garlic and water in milk and boil until it reduces to a quarter of its quantity and drinks it thrice a day. Basil is another herb that helps in the healthy recovery. 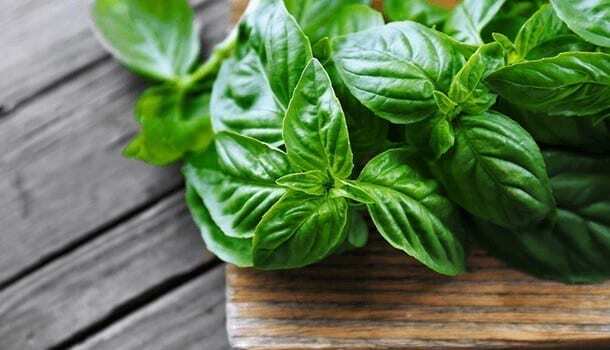 The antibacterial and antibiotic properties in basil help in speedy recovery and also increase the immune system. You can prepare a drink by basil leaves. Take up 20 basil leaves and crushed ginger in water and boil it until it reduces by half, then add a little honey and drink it 2 or 3 times a day. Mix basil leaves juice and adds 2 or 3 peppers seeds with it and have it twice or thrice a day. 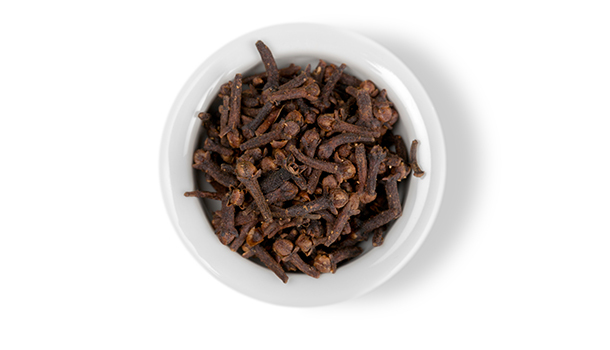 Clove also has the antibacterial that helps in fighting back typhoid bacteria and resulting in the healthy immune system. It also helps in recovery from vomiting and diarrhea. Add up 5 to 6 cloves in water and boil until it reduces by half. Allow it cool from the heat and strain the solution. Follow the diet plan for about 1 week for early recovery. The commonly known fact is that banana helps in proper digestion, the pectin present in banana helps in absorbing the intestinal liquids. 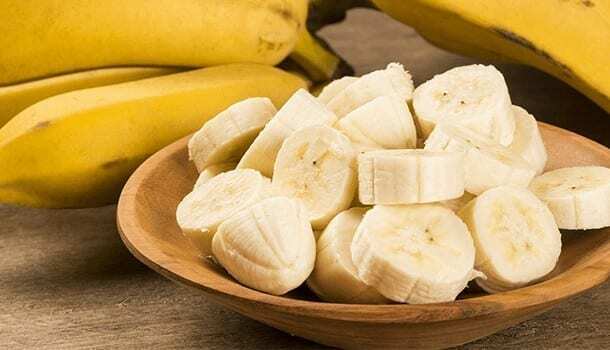 The potassium in banana helps in reducing diarrhea and brings back the electrolytes. You can have raw banana directly which helps in reducing the symptoms of typhoid. Mix up mashed banana, 1 tbsp of honey and half a cup of yogurt and eat this for 2 or 3 times daily for early recovery. Buttermilk is highly known as the rehydration agent also helps in the recovery of typhoid fever. It is an excellent herbal treatment. You can have buttermilk daily once until recovery. 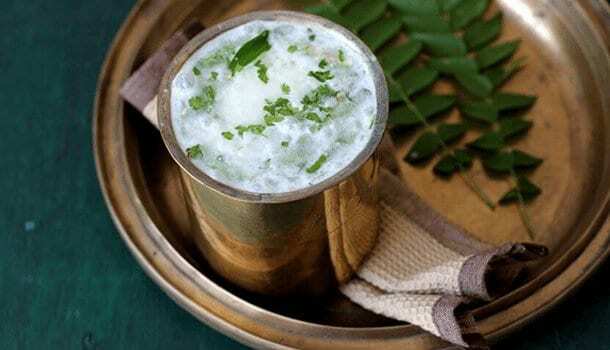 Add up coriander leaves juice in buttermilk for twice a day until recovery. You can also add banana pulp to the buttermilk which acts a proper recovery agent. Diet plan is a compulsory thing in any disease recovery and for the early recovery of typhoid and building up the proper immune system by increasing the electrolytes in the body. Have protein rich food like eggs and fish in your daily diet. High carbohydrate foods are recommended to meet up the energy requirements. Drink healthy soups, broth and fruit juices to bring up the lost minerals and electrolytes from the body. Have hygienic conditions, drink only purified water. Avoid raw fruits or vegetables, do the boil and eat anything which you want to have. Best rest in a main way to gain early recovery. Do not take any form of stress to the body be happy and healthy. Follow a healthy diet plan for proper immune system and fight back the bacterial properties. Avoid spicy foods, alcohols, caffeine, and cigar and take foods that are easy for digestion. Do not have outside food or street foods have home cooked food.